Description: Mystic style purple Venetian half masquerade mask made of strong durable plastic with holographic glittery design and black ribbons attached for easy wear. 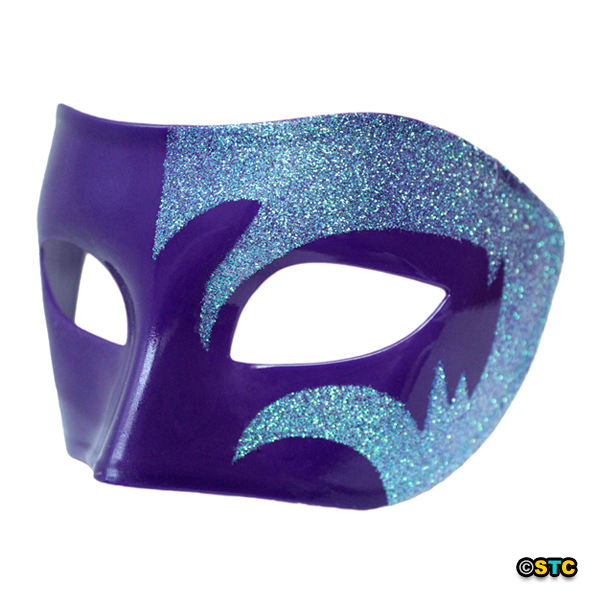 Holographic glitter on purple mask reflects blue & green (aqua) holographic sparkles (as shown in picture). 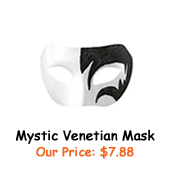 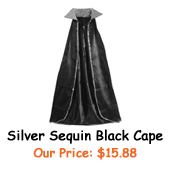 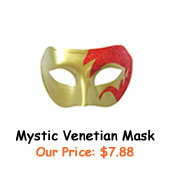 It's great for masquerade, Mardi Gras, Halloween, prom dance, wedding, and costume party! 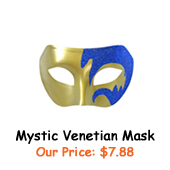 Mask also available in other colors (sold separately). 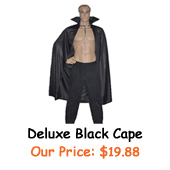 To see all color options, please click here.